This book is absolutely fantastic. It's a police story that includes friendship, betrayal and redemption. Noah Marshall grew up believing the man he idolized in his youth was killed 14 years ago because he was a corrupt cop. When his mother commits suicide she leaves him a letter saying that her partner (Abe) was innocent and a gym bag containing $98K. She left instructions to bring the money to Abe's widow and daughter, she says they need it. But where did this money come from? Was his mother involved in what happened to Abe? Noah finds them living in a trailer park. Abe's widow is addicted to heroine and his daughter Grace works at a fast food joint. This is so far from the life they had been living. Now their lives are in danger. Some people are afraid of the story these three could put together if all the pieces start getting put together. What spirals from that is such a complex tale with multiple characters involved in murders, a cover up, threats and corruption at the highest levels. The multiple narrators do a wonderful job. I love a good romantic suspense but I think this book is more suspense than romance. This was a police procedural suspense that flashing between the past and the present. We get the POV of 4 characters, the Police Chief, her son, a dead police officer who died labelled crooked cop and his daughter. In the present we have Noah & Gracie who are trying to figure out what happened 14 years when their parents were friends and co-workers. In the past we get pieces of the story from both parents. While Noah and Gracie are trying to find out the truth they help each other and end up falling for each other. I enjoyed how this book had so much going on at all times. 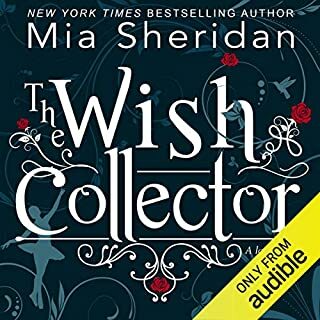 I really enjoyed all the narrators, they really made the multiple POV's easy to follow. I can honestly say, I didn't have high hopes for this book. I bought this as it was a recommendation and pretty happy I did. This book was intriguing from the start. While it didn't have you guessing exactly, it did make you question if you really "solved" it. The end is really what surprised me. I couldn't understand why it was still going, then it hit me. It all came to light. There was so much more that was revealed at the end.. 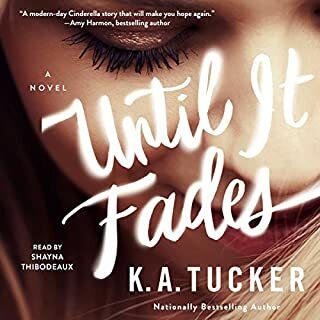 This has to be K A Tuckers best book yet highly recommend can't wait for the next one! I live in Austin and love to read stories using it as the backdrop. This author captures many Austin eateries, neighborhoods, traditions and expressions while weaving her mystery. Pretty good job, for someone not from here. Keep Her Safe by K.A. 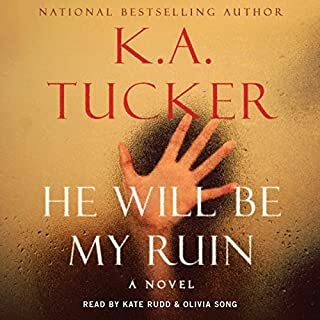 Tucker was one of Audible's "Top 9 Mysteries & Thrillers This Week" sometime back in January and the publisher's summary really intrigued me. "Making a Murderer meets Scandal?" Oh, yes, please! Sign me up. 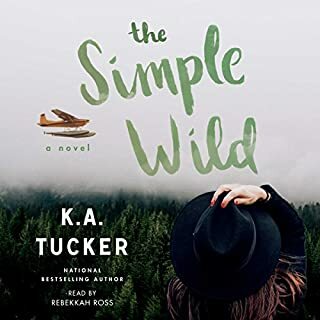 If you're a fan of Scandal, you'll love this piece of romantic suspense as Tucker seamlessly blends "police, corruption, family secrets, and illicit affairs" into one heck of a story. Noah Marshall's mother Jackie is Austin's highly decorated chief of police and after an evening of heavy drinking and seemingly incoherent rambling, she has just committed suicide. Noah, who led "a privileged and comfortable life" until the night of his mother's death, feels obligated to fulfill her final request and seek answers to questions he didn't know he had. Fourteen years ago, Jackie's former partner Abe died in what appeared to be a drug deal gone wrong, but what really happened, why did it drive Jackie to end her own life, and why does she want Noah to personally deliver a bag of cash to Abe's daughter Gracie? When Noah arrives at Gracie's door in Tucson, her mom Dina is far from the woman he remembered from his childhood. As Dina struggles with addiction, Gracie works two jobs and does her best to blend in and survive in The Hollow, a trailer park where most don't seem to know or care that Abe was a corrupt cop who died in a shroud of scandal. Gracie doesn't seem to trust anyone but when Noah shows up on her doorstep, she has few options and they begin their search for answers together. Unfortunately, I'm afraid I can't give you too many more plot details without spoiling the twists and turns Keep Her Safe will take you on. I will tell you that it was a flawlessly written, captivating tale of secrets, corruption, loyalty, and love, the budding love between Gracie and Noah and the love they each have for their parents. 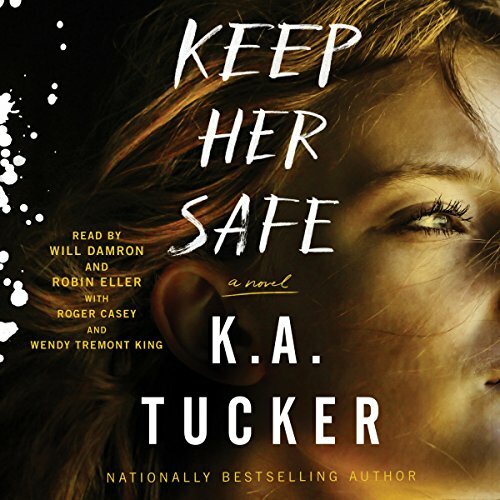 Keep Her Safe is narrated by a cast of extremely talented narrators: Robin Eller, Roger Casey, Wendy Tremont King, and Will Damon. Each had a distinctive, easy to listen to voice as they brought Noah, Jackie, Abe, and Gracie to life. 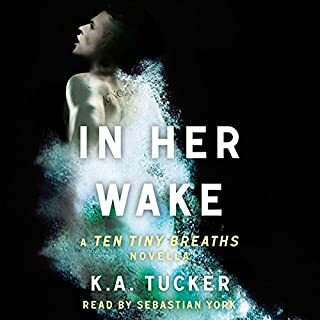 I felt myself identifying with the characters and empathizing as they struggled with their demons--the emotions Tucker and her narrators were able to conjure were impressive and the complex story was filled with intellectual suspense. While some portions of the story seem a bit predictable or cliche, I stayed interested, wondering how it would all turn out. Each time I started to think I had it figured out, another layer was revealed--I felt like I was peeling an onion--and the end was still full of surprises. I never felt like I was certain who I could trust and who I couldn't. While some of my suspicions were accurate, there were twists I never saw coming. If you're more interested in the traditional crime fiction/suspense novels I have good news for you: you may be able to tolerate the romantic aspects of Keep Her Safe. Though the budding romance between Gracie and Noah was a significant feature of this book, wasn't over the top, overly graphic, or steamy in a way that makes you a little nauseous and/or uncomfortable if read in public. Keep Her Safe felt predominately like a suspense story and the romance was just like the icing on top of the cake, complimenting the mystery quite well. I requested a review copy of this audiobook - it has not affected my review in any way. Another brilliantly written suspense. 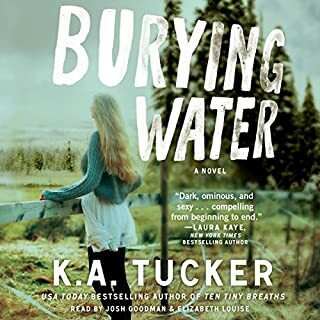 K. A. Tucker never fails to deliver. I have to say that when I started this book I thought it was my least favourite of all of hers that I've read to date but after I got more into the story it once again delivered. Such high quality of writing and it keeps you guessing the whole way through. Loved it. I hope this can be a film one day. even though I was ahead of the characters at connecting the dots at times. the story Line is great and it does have some unexpected twists.